IEEE CCWC 2019 which will provide an opportunity for researchers, educators and students to discuss and exchange ideas on issues, trends, and developments in Information Technology, Electronics and Mobile Communication. The organizing committee has graciously offered to provide 100 Student, on a first-come, first-served basis, with a FREE one day Workshop to promote academic projects in Data Science among enthusiastic students. Students MUST bring their personal Windows laptops with RapidMiner and Weka installed. Register for the Workshop by emailing me with subject line “your Name, Course of Study, University Affiliation”. IEEE CCWC 2019 provides an opportunity for researchers, educators and students to discuss and exchange ideas on issues, trends, and developments in Information Technology, Electronics, and Mobile Communication. The organizing committee has graciously offered to provide 100 participants, on a first come, first serve basis, a FREE three-hour workshop on Internet of Things (IoT). The Workshop will be hosted by Dr. Phillip Bradford (University of-Connecticut) and Dr. Himadri Nath Saha (Institute of Engineering and Management, India). Internet of Things refers to the inter-networking of physical devices, vehicles, buildings, and other items that collect and exchange data. These physical devices are embedded with electronics, software, sensors, actuators, and network connectivity. In this workshop, participants will learn basic IoT concepts and use hardware and software to build prototype IoT systems. Participants will learn how to use a new virtual online simulator and the Arduino computer to build an IoT system for smoke detection, automatic light detection, temperature control, and object detection. 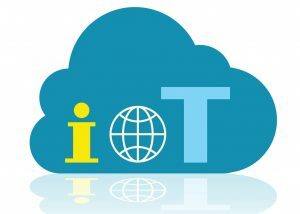 Participants will also learn how to use the Raspberry Pi computer and the AWS IoT cloud service to build an IoT system for monitoring temperature and humidity. Participants will have the opportunity to "get their hands wet" by building their own IoT systems using the sensors provided by the conference committee. Participants are expected to have an Amazon account before they come to the workshop. For additional Information, please email Prof. Dr. Himadri Nath Saha at himadri@iemcal.com.